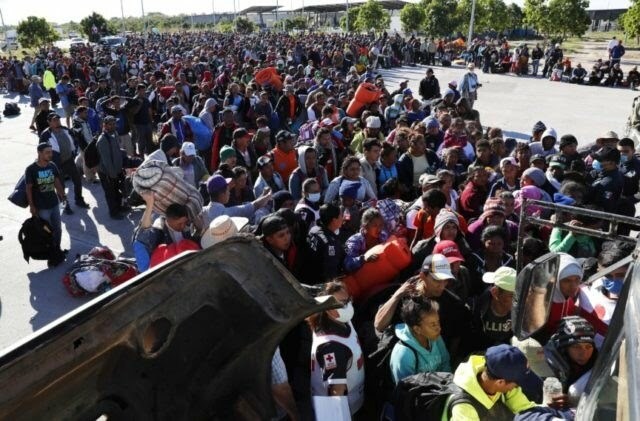 "America Under ‘Attack’ from Illegal Immigration, Migrant Caravans"
Rep. Ralph Norman (R-SC) told Breitbart News Sunday that America is under “attack” through rampant illegal immigration and migrant caravans. Congressman Norman, a member of the conservative House Freedom Caucus, spoke withBreitbart News Sunday host Amanda House about President Donald Trump and congressional Republicans’ fight to obtain $5.7 billion in border wall funding. Norman said that America is under an attack from rampant illegal immigration and the migrant caravans. Reports suggest that migrants will form aother caravan in Honduras and will head to America soon. “I consider this country to be under an attack, an invasion particularly with the caravans coming out of Honduras,” Norman told House. The South Carolina conservative noted that Trump’s $5 billion in requested border wall and security funding amounts to a small amount of the federal budget and that fellow conservative lawmakers will continue to back him during the wall funding fight. Pundits continue to speculate on whether President Trump will declare a national emergency, which would allow the president to fund construction of his promised border wall. Breitbart News reported last week that many lawyers have stated that the president can use unspent funds to build a wall. Rep. Norman said that he would back the president if he would declare a national emergency; however, he hopes that Trump can strike a solution with Democrats before that possibility. The South Carolina congressman said, “If he declares a national emergency, you’re going to have the lawyers tie it up, and I just think if he has to do that I will support him, this president with whatever he decides. He’s on the right side of this issue. “They’ve already shown they’re not willing and the leverage he has and the right thing to do is to do it now,” Norman added. And, if this thing continues and the Democrats just insist on not even negotiating at all, I think the president will declare a national emergency. I don’t know what that time table is, but I know when they [Democrats] start hearing from their constituencies, they will change their tune.